ACES, the Academic Career Excellent System, is the flagship feature of our College Success list. Though it is a student inventory, it also has benefits for instructors. As the Learning Solutions Specialist for College Success, it is my job to help get instructors up and running with all of our digital resources, including ACES. And, as a and a former instructor myself, I'm personally invested in making sure your classes are using the resources in the best way possible. We’ll explore its many uses throughout the semester, but, today, we’ll just start with the basics for those not familiar with it, or as a refresher if you haven’t checked it out in a while. Specifically we’ll focus on the Initial Report and its use as a Pre-Test. It is found within several of our LaunchPad online platforms, including the Connections Franchise and LaunchPad Solo. Typically assigned during the first few weeks of class, the inventory looks at how prepared students are for college in 12 key areas: Critical Thinking and Goal Setting, Motivation and Decision Making, Learning Preferences, Organization and Time Management, Reading, Note Taking, Memory and Studying, Test Taking, Information Literacy and Communication, Connecting with Others, Personal and Financial Health, and Academic and Career Planning. Students rate their level of agreement with statements such as “My notes are legible and well organized”, on a 6 point scale from “Strongly Agree” to Strongly disagree.” It consists of 80 statements and takes about 20 minutes to complete. Once completed, students see how their scores compare to our national norm based on college students across the country. They are also provided with information on what their scores means, and how they can improve upon certain areas. As an instructor, you see the aggregate of your class on that same national norm. Scales with green bars indicate a high skill level, consistent with the highest 25 percent of the national sample. Scales with yellow bars indicate a moderate skill level, consistent with the middle 50 percent of the national sample. Scales with red bars indicate a low skill level, consistent with the lowest 25 percent of the national sample. When given as a pre-test at the start of the semester, you get a glance of what you should focus your time on throughout the semester. Spend more time covering the areas in red, and maybe less time in the green areas. And of course, you can also work individually with students as well. The morning after the 2016 election I found myself driving—bleary-eyed after a restless night—to the English department at Florida Atlantic University to host a book fair. Weeks earlier, when I had scheduled the event, I overlooked the fact that it was the day after the election, though I could not have predicted the dramatic turn of events and the resulting atmosphere of charged emotion. At the time, I was the Macmillan Learning sales rep for South Florida, before coming in-house as an editor, and I never felt closer to my virtue as a Macmillan rep than when hosting a book fair. I think that in all of the talk about learning and course objectives, people can forget the tremendous power that books have to simply help us understand one another. While moving slowly in South Florida traffic on the way home, in my mind I began writing my own This I Believe essay. I helped Broward College select This I Believe II for their College Read program, and I had been meaning to write one. A week or so later, after sharing my essay with a few professors, I was invited by Broward to read my essay and lead a discussion on a documentary, Glen’s Village, they were showing in conjunction with College Read. After the screening of the documentary, I led an open-forum discussion about the film. In one of the most striking parts of the film, Glen and his community fight to keep his public high school from being closed and demolished due to budget cuts. When they lose the fight to keep the school open, Glen then fights to preserve at least "the culture of the school." I asked the attendees to talk about the culture of their school, Broward College. What is it, what should it be, what role does it play as a part of your community? We had some really heartfelt discussion. One student said that the school "is like a piece of you, and when you lose the school, a little piece of you dies." A professor said that so many of us as individuals come from broken places, and he saw Broward as a place of healing, and that all of us need to be part of that feeling for ourselves and each other. I then talked a little about the College Read program, and the idea that everyone reading the same book and sharing their stories can help strengthen their community. I read a selection from This I Believe II—a quote from Edward R. Murrow about why the “This I Believe” project was founded. I asked if his words resonated with them, particularly after the election—lots of nods and yesses. Then I read my This I Believe essay, and invited students to read their own essays—or to read ones from the book they wanted to share. One student picked "Living with Integrity" by Bob Barrett. "I am an American and like almost everyone here, I am also something else. I was raised to believe that America embraces all people from all faiths, but recently, that long-standing belief--along with both parts of my identity--have come under attack. And as an American Muslim of Pakistani descent, this attack is tearing me apart." "In light of the recent election, I just hope and pray that we as individuals and we as a community can still hold on to our integrity and our values and to understand that each and every single one of us, regardless of our background, of our heritage, of our religious beliefs, of our height, our weight, our color, our anything, that we all treat each other as human beings. And nobody--nobody--is better than you. Nobody. And nobody on this planet is worse than you. And please always, always remember that. Take that with you in every walk of life." As an editor, I believe my job is helping build communities. Because that’s exactly what a good book is--textbook or trade--a means for helping us understand one another, heal us from the broken places we’ve been, and reveal to us our enduring, common humanity. Allen is the Program Manager for College Success & Human Communication at Macmillan Learning. He is an advocate for College Read programs as a way to foster social belonging on campus and in our larger communities. You can read his This I Believe essay, Crying in Baseball, here. Since we first launched the ACES self-assessment back in 2016, we’ve seen program after program make the simple decision to give each one of their students, on their first days of college, one of the most powerful gifts--self-knowledge. It all starts with the simple, 20-minute ACES activity: a set of survey questions expertly designed by three counseling psychologists, through which students create a quantitative self-portrait of their strengths and growth areas--the ACES Initial Report. Over 30,000 students have now taken ACES in their first weeks of college, so many of them for the first time discovering the power of a growth mindset, goal setting, and how to cultivate their inner assets to overcome adversity and be their best selves. Over the past year or so, we’ve been beta-testing an ACES “post-test,” so that students could take the assessment again and reflect on their progress. An impetus for developing the post-test was that instructors could now have a powerful tool to help quantify the progress students were making in their FYE course. But the real driver behind this second instance of ACES is a pedagogical reason--its metacognitive benefits. Having a second ACES report, at the end of the term, provides students with an important opportunity to reflect on their progress, practice gratitude, and gain valuable positive reinforcement. It also gives them an updated version of their quantitative self-portrait. By seeing change in their skills, abilities, and attitudes, the end-of-term ACES report provides them with real, first-hand experience with growth-mindset, neuroplasticity, and above all, the power to change oneself for the better. To emphasize these powerful benefits, the beta post-test will be replaced in early Summer 2019 in all ACES LaunchPads with a new, permanent, second instance of ACES to be taken at the end of the semester. The report students will receive from this second instance of ACES will be called “The ACES Progress Report.” Instructors will also have a new “Comparison Report” in their report dashboard so they themselves can reflect on the impact their course has had on their students. In addition, there will be a brief guide added to all ACES LaunchPads to help students compare their Progress Report with their Initial Report from the beginning of the semester. Connections, Second Edition--the new edition of the textbook program developed in conjunction with ACES by the same team of counseling psychologists--gets an even more powerful end-of-semester feature: an assignable Capstone LaunchPad activity that automatically pulls in students’ ACES results from the entire term, and leads them through a metacognitive reflection to set them up for long term success. These new features--the ACES Progress Report, the ACES Comparison Report, and the ACES Capstone Activity--are truly the product of the collaborative spirit at Macmillan Learning. I’m so inspired by how our wonderful authors, our senior editor Christina Lembo, our senior media editor Tom Kane, our technology team, and our faculty and student partners across the country, came together to bring you these new products, fostered by our spirit that together we can achieve more. With these new features, our hope is that you will now be able to give your students something as powerful as the self-knowledge you offer them when they walk into your class--self growth, as they walk out. You’ve graduated with your bachelor’s degree, and you have been accepted to the university of your dreams to pursue a master’s degree or possibly a Ph.D. I know it seems early to consider this, but what is your exit strategy? What I mean is, are you going to take a comprehensive test, create a project, or write a thesis as a means to fulfill the final degree requirement to graduate? It seems overwhelming to start considering this, but what you decide upon now will influence every major decision you make in graduate school, including the most important choice you will make: who will be your committee chairperson and who will be your committee members. Your committee will guide you through whatever exit method you choose, especially if you choose a project or thesis. Each member will play a significant part. However, it is your chairperson that will have final word and most control, so chose wisely. The following suggestions center around the thesis or project methods, although your committee is salient in all three cases. How busy is this professor? Are they a department chair or involved as another committee chair or member? You will be asking them to add your project or thesis onto their already huge workload. Do you get along with them? I cannot imagine asking someone you do not even like to chair your committee. You will be spending a lot of time with them, so having a good relationship will help when things get rough. What’s their specialty? Do they have the experience they need to provide you with the best advice on your given project? While they don’t need to be experts in your exact topic, make sure that they have enough knowledge of your topic to provide helpful feedback. If you have previously had them as a professor, how fast do they turn back assignments? You will be producing multiple drafts of your proposal, so you want a one to two week turn around, not five or six or more. Do they have office hours that can work around your schedule? Are they easy to talk to and do they challenge you? You do not want a “yes” person to control your best work. You want them have suggestions that will make this work fulfilling and your highest achievement that you have ever produced. I would say that you should consider the same attributes for your other committee members. Remember that your chair has final word and the most control of your work. Often, the rest of your committee will not see a draft until it has been signed off by your chair. However, you want a well-rounded committee. You want them to complement each other and if possible get along, even if they have differing opinions or viewpoints. Maybe your chair is great at research but is not well versed in statistics. You should consider a member that excels in that part of the puzzle. Do not pick your members out of convenience. You want them all to contribute and not just agree, as tempting as that may sound. You want your members to challenge you to do your best work. I hope I have not scared any of you into burning your admission papers. I have had to learn some of these lessons the hard way. These are difficult decisions, but a little research and you will put together a team that will make this rewarding and less frustrating. Going back to the ancient Greeks and Romans, the original aim of a liberal arts education was to encourage free citizens to participate in civic life by supplying them with skills of grammar, rhetoric, and logic. In medieval times, the study of liberal arts evolved to include arithmetic, geometry, music, and astronomy. The modern liberal arts college champions development of the well-rounded human as it allows students to focus on the diverse breadth of arts, humanities, social sciences, sciences, and mathematics. However, without the perspective of the bigger picture, some students view the liberal arts core negatively. They argue that it prolongs their college career, costing them more tuition money, and challenges them to study subject areas they might not even be interested in. And why should an English major, inclined towards reading and writing, have to take a general education statistics course? What’s the point? As a freshman in college, I enrolled in what I thought was a gen-ed history course. After receiving a 30+ page syllabus, I realized it was really an education course disguised by readings on local history. As neither a history nor education major, I was attracted to the course for three honest reasons: it fulfilled my history requirement, the professor had great reviews, and the class went on field trips. It turned out to be one of the best classes I ever took, despite the fact that I was the only non-education major. It may have been the only time I’ll ever have to write lesson plans and organize field trip activities, but it provided me the opportunity to strengthen my leadership and creative talents, while encouraging me to reflect on how everyone learns differently. Liberal arts courses fuel students’ curiosity and encourage them to test the waters of where their professional interests might lie. Taking a course outside your designated major forces you to think and approach problems in an all-new way. You will learn to communicate -- remember grammar, rhetoric, and logic? -- and connect with people who are accustomed to different thinking, all while broadening your own knowledge and network. And, just because you studied English doesn’t mean you’ll never need math in your life. Sure, if students only had to complete X number of business or engineering courses to graduate, they could probably earn a degree in fewer semesters, piling up less student loan debt in the process. However, they would have missed out on what might be their last opportunity to truly explore different academic interests just for the sake of learning. On top of that, students might be lacking the transferable skill set that would help them succeed in their careers -- the interpersonal, organizational, leadership, and communication abilities often best developed through diversified studies. The list of student benefits of a liberal arts education is rather similar to what employers look for in their new hires. Even talking about your experience of adapting to unfamiliar coursework and learning styles provides great material for a job interview! Losing your security blanket, coloring outside the lines, thinking outside the box, and stepping out of your comfort zone in a class setting is great practice for doing so in the real world. Whether their focus is in the traditional liberal arts discipline or not, students should be encouraged to broaden their studies and make use of the liberal arts core. With expanded knowledge across disciplines, students will be equipped to better understand and respect opposing viewpoints, assess their own opinions, and make informed decisions. Just like the ancient Greeks and Romans, students will become well-rounded citizens, which will serve them in their personal and professional lives for years to come. Maybe you’re like me: Determined to finish your biggest project, but struggling to get things done. For students, this may be especially true with writing papers. In college, when it came to term papers, I’d hear my classmates’ united refrain: “I’ll just do it the night before anyway, why start now?” The phrase still rings familiar to me years out of the academic environment. I’d had my fair share of the “One-Draft Wonder,” too, so why did it bother me so much? I found my answer in what Stanford psychologist Carol Dweck identifies as the “growth mindset”, the belief that talent and skills can be developed over time. The growth mindset is dedicated to improvement, even if that requires the possibility of failure or struggle. Alternatively, a “fixed mindset” assumes talent is static and unchanging. The fixed mindset chooses the quickest path to success, (i.e., the One-Draft Wonder), relying on skills presumed to be static and relatively unchanging. The growth mindset engages, takes its time, and yields a bigger payoff down the road. The learning process is not a matter of instant gratification. In my experience, I found a remedy for my distraction in a few basic tools: The assigned text, a notebook, a pencil, and nothing else. The first time I tried this, I spent 90 minutes hanging out with Walt Whitman’s When Lilacs Last in the Dooryard Bloom’d. At first my eyes kept flickering up from the page, but slowly I became immersed. By the end of 90 minutes I was diagramming in the margins, unaware of my surroundings and lost in the experience of the poem. Applied to the college classroom, the growth mindset reduces students' stress of completing a first draft because the main goal is to improve over time, rather than be perfect the first time. In this way students can feel comfortable approaching challenging assignments before the eleventh hour hits. I love Dweck’s advice because it empowers us to be learners at any age, continually considering our lives a work in progress. For more on growth mindset, check out Your College Experience 13th Edition, or explore more online here. There is a resounding assumption that our nation’s high school graduates will enroll in some form of higher education in the fall of the same year they graduate. The assumption starts early on in American public education, with the onslaught of advanced placement/college prep academic tracks, college entrance exam test preparation, college visits, and the pressure to participate in extracurriculars for the purpose of crafting an impressive college application. To know what you want to be “when you grow up” and where you want to earn your degree from is “supposed” to be something students have squared away by the time they begin their senior year. What happens if you don’t fit into that box? According to the 2016 American Community Survey published by the U.S. Census Bureau, 19.3% of people 25 and older hold a bachelor’s degree and just 11.9% hold a graduate or professional degree of some kind. Based on this, it is evident that not everyone holds a four-year degree or beyond. I think we are doing an injustice to our nation’s young people when we assume they are going to a college immediately upon graduating from high school and that if they choose to go right to college, that they need to know exactly what they want to study. How embarrassing, isolating, and frustrating that must feel if you a) don’t want to go to school right away (or ever) and/or b) have no idea what to study. In my own work with students who struggle academically, they will tell me that they have been a student, continuously, since they were five and that they are tired. They don’t know what they want to study anymore. They aren’t getting the grades in the program they (or their parents) wanted. They feel aimless, ashamed, and sometimes, just depressed. What if instead of dragging them to the finish line, we gave them permission to take a break? I often find myself saying to students that, “colleges will be there when you’re ready.” As a society, we need to normalize that earning a degree is not a race – it’s an opportunity and a commitment that an adult can take on at any age. Besides the financial investment, earning a degree takes an exorbitant amount of personal investment as well and students need to be ready for that commitment. What if instead of asking our young adults what they want to be, what they want to study and where they want to go for school, instead ask, “What do you think you might like to do after high school?” and just let that be the open-ended question. What if instead of jumping in with our own opinions on what they should do, we just listen to them, patiently and with an open mind. What if we normalized the notion that it’s ok to take a break after high school, to work, to find yourself, to reflect, to travel, to tend to yourself and others in a loving and caring way? We don’t slow down enough as a society. That we know and I am guilty of it as well. We are always thinking of the next thing to do, to buy, to be. What if, instead of rushing recently high-school graduates into dorm rooms and classrooms, we let them learn at their own pace, just by making their own choices in their lives? Moreover, what if everyone’s post-high school graduation plan was a great plan? Last summer, we looked at schools with Common Reading Programs, where institutions assign or recommend titles for students and instructors to read over the summer, so that they can come together to discuss the book as a community in the fall. Believe it or not (I don't), but summer is here again, and so are these reading programs. While several schools have already announced their picks, there's still no way to tell which books will be the most common (pun intended) choice. While some common reading programs include the entire student body, many of them are aimed specifically at students entering their first year of college. This gives incoming students the opportunity to share something with their instructors and peers before they step on campus, and provides them with a taste of what they can expect from their institution over the course (pun not intended) of their studies. So, for those of you still deliberating on your common reading choices, or those of you who simply want more reading recommendations, take a look at the Macmillan catalog on Books for the First-Year Experience. These critically-acclaimed books are ideal for the first-year experience: they're accessible and challenging, timely and classic, broadly appealing, stimulating, and moving. They foster individual growth while also inviting campus-wide discussion. Overall, a perfect summer reading for an incoming student who wants to start their first year on the right page (last pun, promise!). 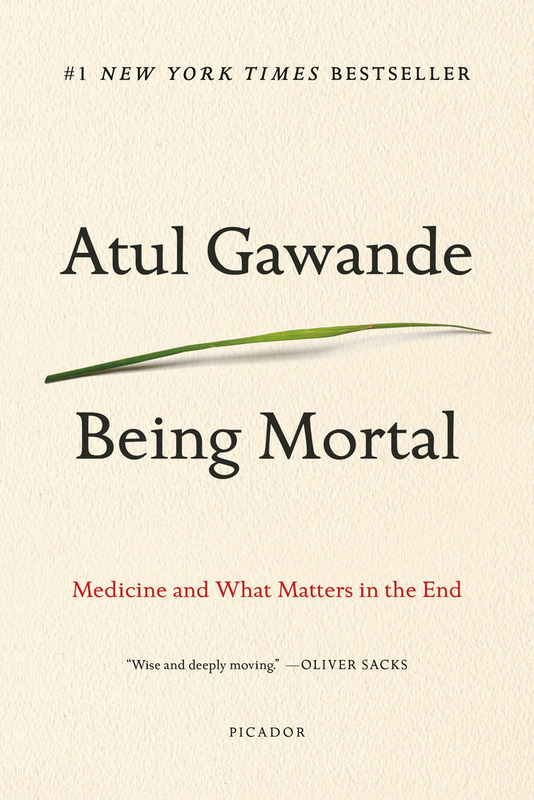 Oprah's Book Club Choice for June 2018! In 1985, Anthony Rae Hinton was arrested and charged with two counts of capital murder in Alabama. Stunned, confused, and only twenty-nine years old, Hinton knew that it was a case of mistaken identity and believed that the truth would prove his innocence and ultimately set him free. But with an incompetent defense attorney and a different system of justice for a poor black man in the South, Hinton was sentenced to death by electrocution. He spent his first three years on Death Row at Holman State Prison in despairing silence—angry and full of hatred for all those who had sent an innocent man to his death. 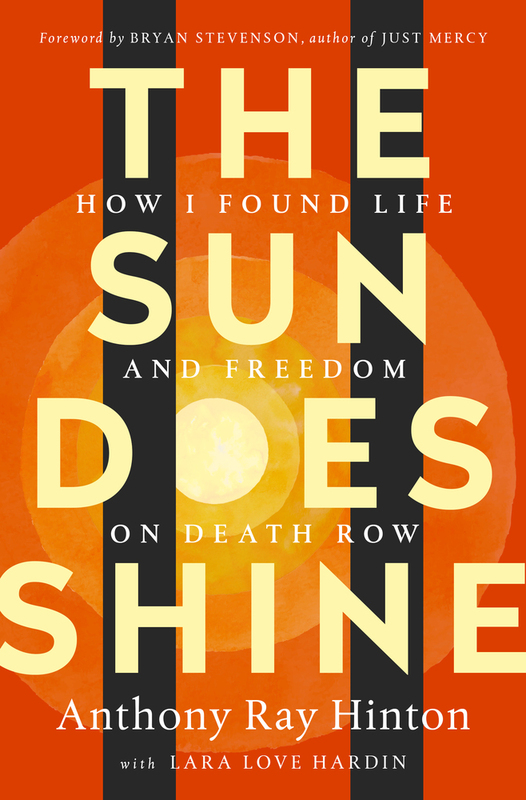 But as Hinton realized and accepted his fate, he resolved not only to survive, but to find a way to live on Death Row. For the next twenty-seven years he was a beacon—transforming not only his own spirit, but those of his fellow inmates, fifty-four of whom were executed mere feet from his cell. With the help of civil rights attorney and bestselling author of Just Mercy, Bryan Stevenson, Hinton won his release in 2015. With a foreword by Stevenson, The Sun Does Shine is an extraordinary testament to the power of hope sustained through the darkest times. Hinton’s memoir tells his dramatic thirty-year journey and shows how you can take away a man’s freedom, but you can’t take away his imagination, humor, or joy. Anthony Ray Hinton spent nearly thirty years on death row for crimes he did not commit. Released in April 2015, Hinton now speaks widely on prison reform and the power of faith and forgiveness. He lives in Alabama. Check out his chat with Oprah about his book on her Facebook page here. 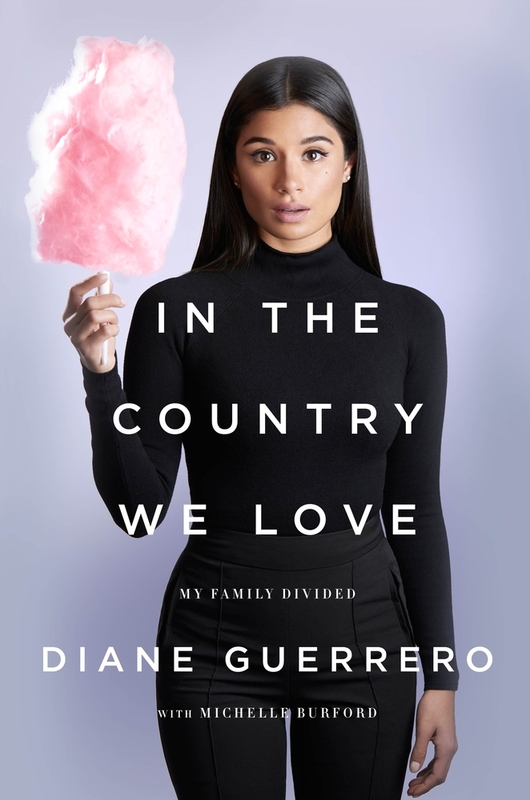 Diane Guerrero, the television actress from the megahitOrange Is the New Black and Jane the Virgin, was just fourteen years old on the day her parents were detained and deported while she was at school. Born in the U.S., Guerrero was able to remain in the country and continue her education, depending on the kindness of family friends who took her in and helped her build a life and a successful acting career for herself, without the support system of her family. In the Country We Love is a moving, heartbreaking story of one woman’s extraordinary resilience in the face of the nightmarish struggles of undocumented residents in this country. There are over 11 million undocumented immigrants living in the U.S., many of whom have citizen children, whose lives here are just as precarious, and whose stories haven’t been told. Written with bestselling author Michelle Burford, this memoir is a tale of personal triumph that also casts a much-needed light on the fears that haunt the daily existence of families like Guerrero’s and on a system that fails them over and over. This post was adapted from an entry in A Word from Macmillan tagged 2017, A Word from Macmillan on 10/19/2017. When I was in elementary school, I had trouble focusing in one of my classes during reading time and tests. This was not due to a lack of motivation or interest; on the contrary, I loved reading and going to school each day. My lack of concentration was related to a specific sound -- music. My teacher at the time felt listening to classical music facilitated learning, and would often play it during quiet moments in class. My mind was unavoidably drawn to expressive melody lines, dissonant harmonies, and pulsating rhythms, and I couldn’t seem to listen passively without mentally attending to these musical elements. For me, background music was more of a distraction than a learning aid. Many studies in the fields of psychology and neuroscience have demonstrated a correlation between music and enhanced cognitive performance; however, the findings are nuanced and sometimes contradictory. Can music really facilitate learning, or do these effects vary based on factors such as learning preferences and personality types? How do musical genres and different cognitive tasks affect this correlation? “The Mozart effect” refers to a common misconception that listening to classical music enhances intelligence. The idea stems from a psychology study conducted in 1993 by Frances Rauscher, Gordon Shaw, and Katherine Ky. In the experiment, participants completed standard IQ spatial reasoning tasks after listening to three distinct sound conditions: a Mozart piano sonata, a relaxation tape, and silence. Rauscher et al. found participants scored significantly better on the tasks after listening to Mozart than either silence or the relaxation tape, with an increase of about 8 points on their IQ scores. Although this effect lasted for only 10 to 15 minutes, the implications were widely misinterpreted. While the participants were college students, many people generalized the results, claiming early exposure to classical music could boost intellectual development in children. The idea that listening to Mozart could increase general intelligence became a popular cultural belief, despite the fact that this study examined only one domain of intelligence. In considering the effects of music on learning, it is also important to note this experiment examined participants’ task performance after listening to different sound conditions, rather than the effect of listening to music while simultaneously working on a task. Despite difficulties in replicating the Mozart effect, many studies provide evidence that listening to music can facilitate learning and enhance cognitive performance. One prevailing theory suggests music can improve mood and motivation levels, alleviating some of the emotional strain associated with complex tasks. For example, Hallam et. al (2002) found calming background music had a positive effect on children’s altruism levels and performance on arithmetic and memory tasks, suggesting music perceived as relaxing or pleasant can significantly affect task performance and behavior. On the other hand, music perceived as arousing, unpleasant, or aggressive negatively affected children’s memory task performance and altruism levels, suggesting some types of music are less conducive to learning than others. Several studies indicate these effects could be influenced by other factors such as personality and learning preferences. For example, a study conducted by Adrian Furnham and Anna Bradley (1999) found pop music hindered performance for both introverts and extroverts on memory and reading comprehension tasks; however, this effect was more significant for introverts. Another study provides evidence that music can be beneficial for both introverts and extroverts depending on the work environment. Dobbs et. al (2011) found while both extroverts and introverts performed better in silence than while listening to music, they also performed better on the music condition than while listening to general background noises, such as simulated office ambiance or people talking. This suggests it may be beneficial for students to listen to music while studying in areas like cafés that may have distracting background sounds. Although many studies support the hypothesis that music can enhance cognitive processing, a large body of research suggests silence provides the optimal study environment. For example, Thomas Alley and Marcie Greene (2008) found students performed best on a memory task while working in silence compared to listening conditions with irrelevant speech or vocal and instrumental music, suggesting background noise and music can impede cognitive performance. Interestingly, students performed better on the instrumental music condition than on the irrelevant speech or vocal music conditions. Another study by Nick Perham and Harriet Curie (2014) indicates studying in silence or while listening to instrumental music is preferable to studying while listening to music with lyrics. They found students performed best on a reading comprehension task while working in silence, and they also performed better while listening to music without lyrics than while listening to either liked or disliked music with lyrics. - Experiment with listening to enjoyable music before study sessions. Research building on “the Mozart effect” suggests listening to musical excerpts that induce positive mood and arousal prior to engaging in various tasks can lead to improved performance. - Notice how you are feeling and adapt your study music choices based on your current mood and motivation levels. If you are feeling overwhelmed, try listening to calming or relaxing music to help alleviate stress levels. Consider listening to upbeat and pleasant music if you need a motivational boost. - Take into account the complexity of the assignment and your environment, and adjust your study music accordingly. Try to study in silence for complex cognitive tasks like memorization or reading comprehension. If you must study in an area with potentially disruptive background ambiance, consider listening to music to avoid becoming distracted. - Listen to instrumental music with limited acoustic variation. Avoid listening to music with lyrics while studying, especially when completing reading or writing assignments. Look for music that is enjoyable and somewhat repetitive. Some people find it helpful to listen to video game music or movie soundtracks, while others benefit from listening to meditation music or white noise. Do you listen to music while completing tasks? Do you find it helpful or distracting?